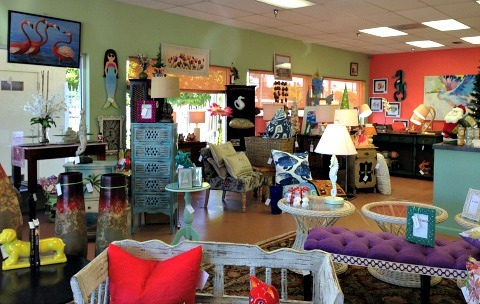 Cape Coral Shops - Here are some of my favorite cute boutiques and places to go shopping here in the Cape. 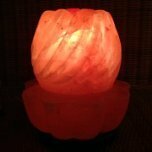 From clothing, jewelry, and accessories to home decor, gifts, and souvenirs, we have some really nice shops I'd like you to know about. Some of these stores are in shopping centers and some of them you may have missed because they stand alone. 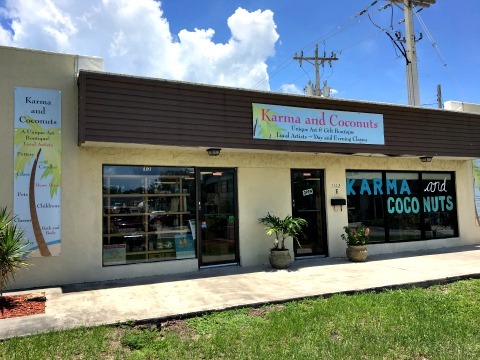 Either way, you'll want to check out the following shops: Karma and Coconuts, Su Casa and Razzle Dazzle on Cape Coral Pkwy East ....... and Carried Away on Cape Coral Pkwy West. 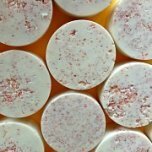 Looking for locally handmade art and crafts? 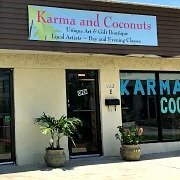 Look no further than Karma and Coconuts on Cape Coral Pkwy, a boutique featuring unique handcrafted items by Cape Coral and Southwest Florida artisans. 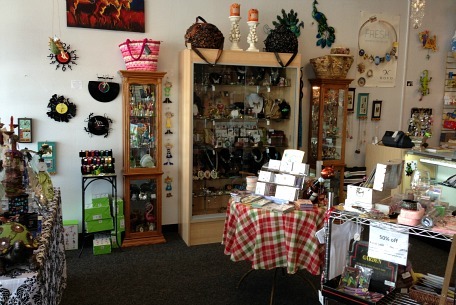 Not only can you buy jewelry, bath and body products, paintings, glass art, dolls, etc ........... you can also take classes from many of the artists of create the store's merchandise. 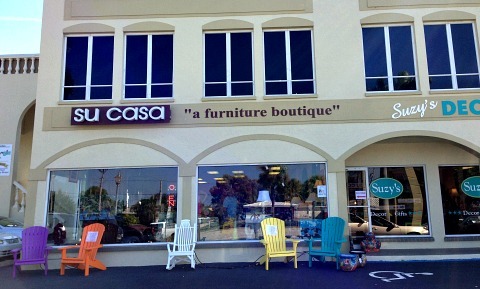 For unique items for your home such as furniture, accessories, art and crafts, go to Su Casa, a furniture boutique. 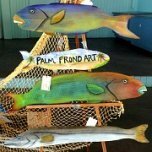 You'll find lamps, throw pillows, tables, shelves, knick knacks, art for your wall and display ......... with many items made by local artists. 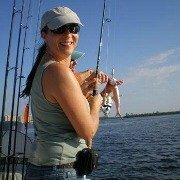 The store is only open during season because the owners shop for new inventory during the summer. 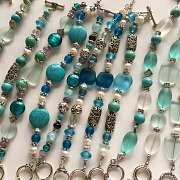 Carried Away has gifts, Bagalini Bags and purses, ICU Eyewear, jewelry made from Swarovski crystals, baby clothes, and so much more! 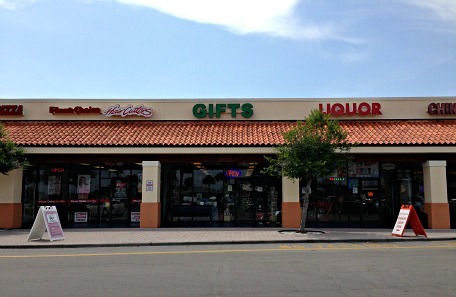 The shop moved recently from Cape Harbour to Camelot Isles Shopping Center, next to Publix. Tony is always getting new and interesting items in the store, it's the perfect place to shop for special gifts and accessories! 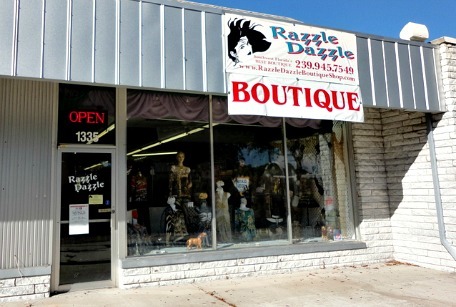 Razzle Dazzle has lots of fun resort wear for casual or dressy occasions from brands such as Caribe, Jag, Tribal ......... and so much more! There's a terrific selection of tops, pants, shorts, skirts, dresses, accessories, and jewelry plus fashion shows ans events. 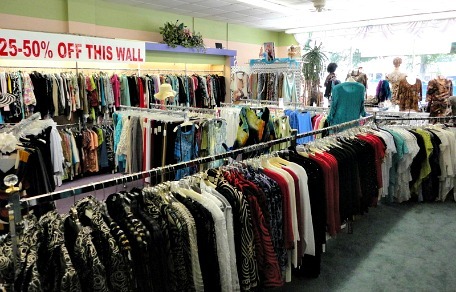 You'll love the unique fashions, bright colors, cool prints, and India import clothing. The store is in Big John's Plaza and is open Monday - Friday from 10AM-5:30PM, and Saturday 10AM-5PM. 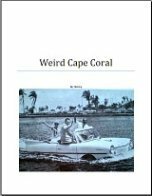 I hope you take the time to visit these Cape Coral stores and the malls, outlets, and stores in the links below ........... happy shopping!